For those of your who don’t know, your click-through rates refer to the percentage of individuals viewing your web page who actually clicked on a specific link or post which you posted to Facebook. The click-through rate measures how successful a post has been in capturing your users’ interest because, the higher the click-through rate, the more people have followed your link to your page, website or other destination to where you wished them to go. Here are seven tips to increase you click-through rates on Facebook. Give them a call to action. By including a call to action in your post, you are more than likely going to generate more clicks as you will be subtly encouraging the reader that they need to follow this link. Get personal. Share your thoughts in a link instead of merely posting the link itself and a pretty picture next to it. Personalise your message and tell people why YOU think they should give it a read, a click a share or whatever the case may be. Choose your colour coding carefully. Believe it or not, people respond differently to the colour of your post as opposed to a call to action button on you website. 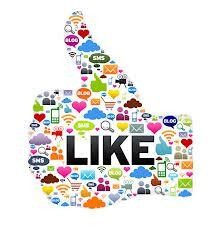 On Facebook, studies have shown that images which are predominantly white, grey and blue tend to generate more clicks. Use open graphs. This is the practice of placing meta tags onto your website, resulting in shared posts on Facebook looking more aesthetically pleasing, including an image, as opposed to a couple of lines of bland text. Watch when and how often you post. Studies have been done which have resulted in breath taking outcomes indeed. In order to connect with the most people via Facebook, your posts should be posted on either Thursday or Friday. Monday through Wednesday have proved to not gain many views. Furthermore, in order to ensure you generate the highest amount of clicks, it is in your best interests to post your posts at roughly 3 pm. How long should your headline be? Once again, studies have shown that in essence, a Facebook headline should be the equivalent length to that of a blog. In other words, as short as possible. You need to grab your reader from the get go and a long worded, heavy handed headline is not going to help you do that. Finally, there is engagement. Engage with your audience by leaving comments. Yes, leaving comments which YOU have written in the comment bar. Responding to comments left by others has shown a 9% difference on clicks as opposed to those who do not engage with their audience correctly. If you need any online assistance, get in touch with WSI OMS today. We have a number of different services which we will be able to offer you. Give us a call now to see how we can help.